Our client LegitAction uses grassroots power to fight long-term threats to American democracy, like voter suppression. But LegitAction has operated in a news environment dominated by Donald Trump for as long as it has existed, which has been both a blessing and a curse for engaging supporters: no one brings attention to the issues the organization is working on like Donald Trump, but chasing the Trump-driven news cycle doesn’t lead to consistent messaging. And ultimately, inconsistent messaging leads to a weaker brand and less of an impact. Clarify needed to help LegitAction build a consistent, authoritative, and relevant digital brand over time — that could still leverage Trump-driven moments in the news cycle for supporter engagement without losing focus. Clarify helped LegitAction develop a semi-monthly newsletter to tie relevant news items into the organization’s messaging in a way that strengthened its position with supporters. First, the newsletter allowed the LegitAction email program to expand from its main value proposition — relevant and effective grassroots action and fundraising opportunities — to double down on a secondary benefit: no-effort, pre-curated content from a trusted source. The recent rise of successful newsletters like Quartz Daily Brief and Crooked Media’s What A Day are cases for a thriving demand for this kind of information curation. The newsletter also helped LegitAction establish brand affinity with its subscribers without losing focus. By framing the Trump administration’s alleged crimes as both cause and symptom of a larger crisis of democratic legitimacy, LegitAction was able to develop an original, authoritative voice. Building up the promise of this expertise on a much-discussed topic, then consistently delivering, offered clear value to subscribers. And by designating the content as a newsletter (and sending it on a regular schedule), LegitAction freed itself from the burden of feeling the need to generate yet another ‘sign the petition against Trump’ petition for each new outrage. To maximize the ROI of adding newsletters to Legit’s program, we also sought to streamline writing and production. Our approach: populating the second half of each newsletter with blurbs from high-performing social posts, and reusing the same elegant but simple HTML template for production. In the end, each new edition just required drafting a short lede and pairing it with an image (and adding a “Contribute” button at the bottom). 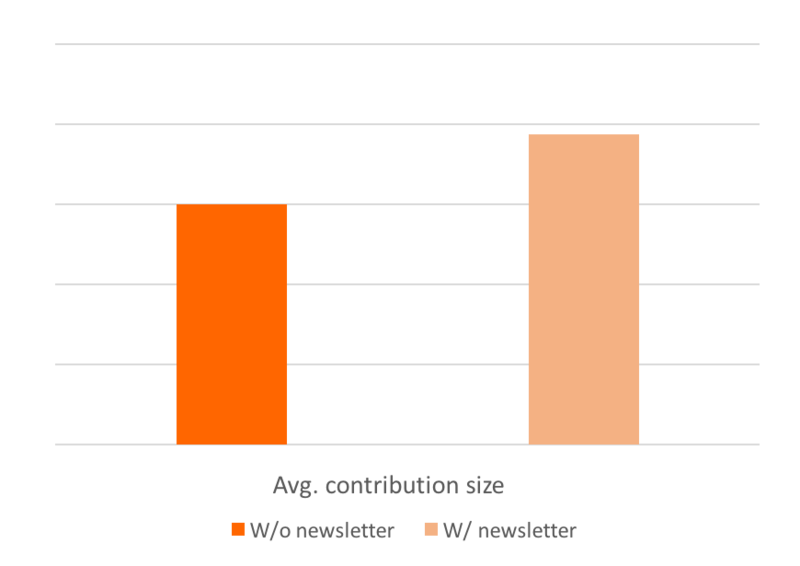 Putting a “Contribute” button below the main content helped the newsletters raise roughly 50% the revenue of a given direct fundraising appeal, on average. 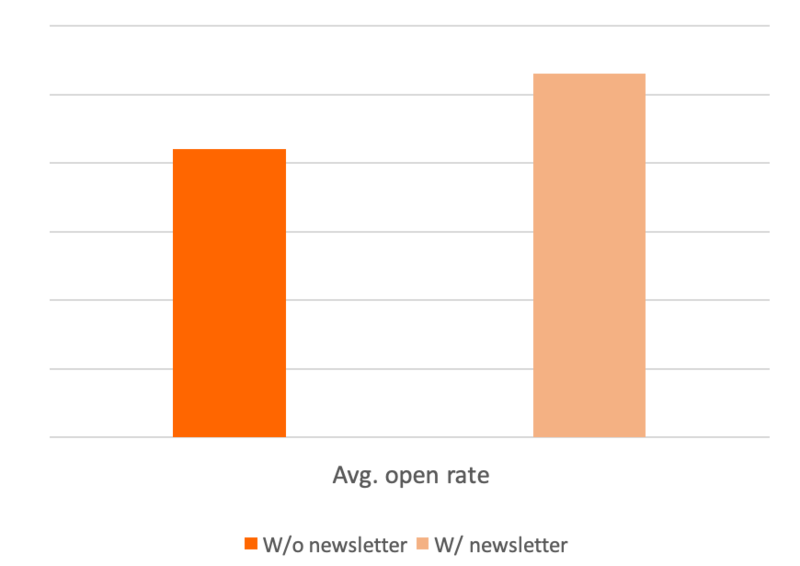 But beyond the direct benefits of each newsletter send, the benefits to the rest of the email program were even more impressive. 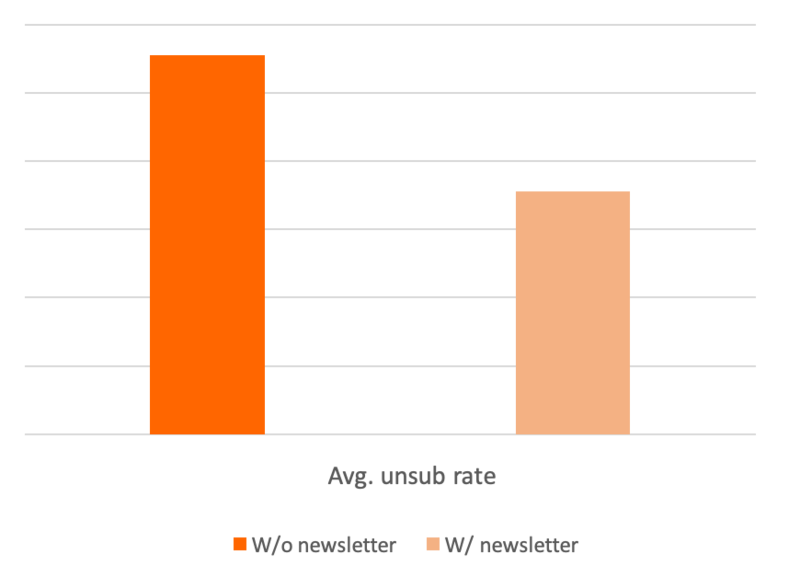 After introducing the newsletter, the other messages LegitAction sent started seeing consistently higher open rates, lower unsubscribe rates, and larger and more frequent contributions per email.